Who doesn’t love the smell and taste of fresh bread straight from the oven? 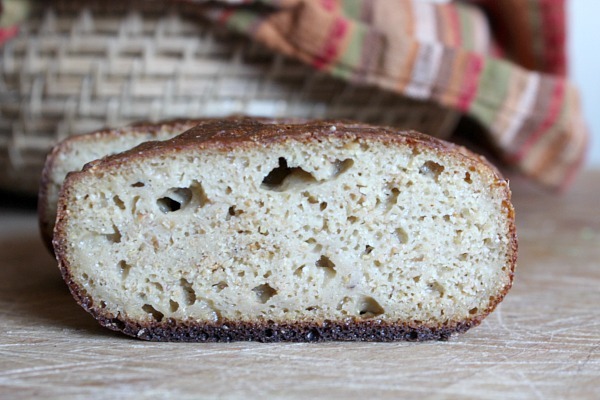 Enjoy this gluten-free, grain-free sourdough bread! 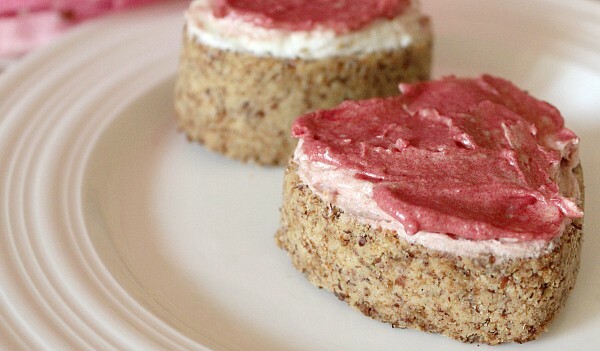 This recipe uses a combination of quinoa and chickpea (garbanzo) flour. Kombucha is used to ferment the quinoa flour and create a sourdough starter. (See this recipe for brewing your own kombucha.) Once the quinoa flour is “bubbly,” the chickpea flour is added. 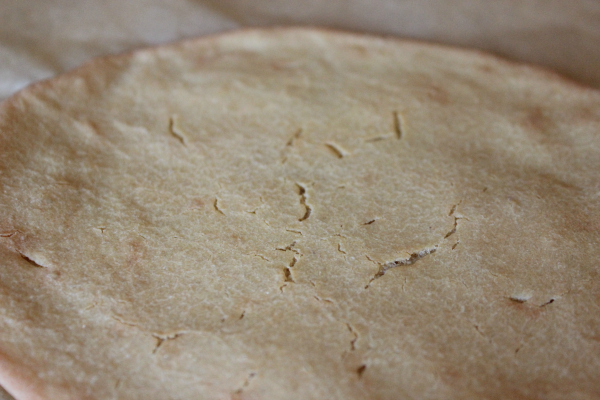 The simplest method is to use chickpea flour alone for blending with the starter. 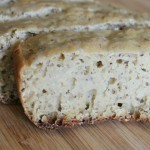 (I use this sprouted garbanzo flour from Thrive Market.) This keeps it nut-free, and tastes great. Other options include tiger nut flour, flax meal, and almond flour. If using any of these flours, I recommend using them in combination rather than alone. 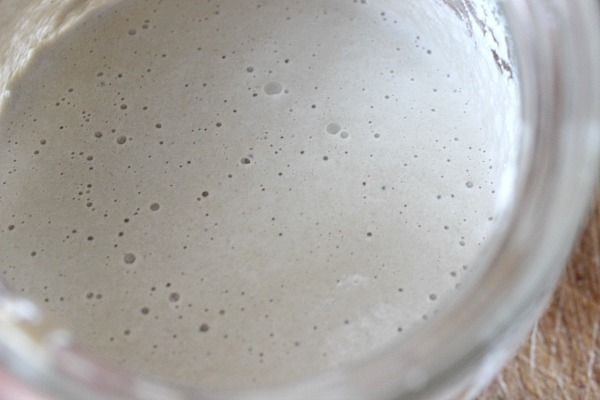 Once your sourdough starter is bubbly, combine starter with your flour or flour blend, salt, and water. Keep it fairly thick, enough to use a spatula, but not too thick. Add more water or kombucha if it’s too thick. There is no need to knead the dough. Place in a cool oven and set to 400 degrees. Remove from the dutch oven or remove the lid and cook an additional 10-15 minutes until done. Remove from pans and allow to cool. Enjoy immediately or save until the next day for improved texture. 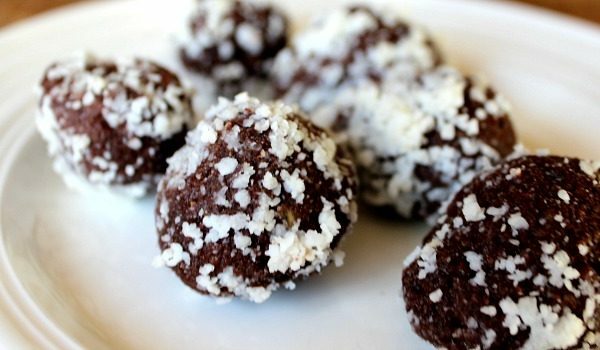 This versatile recipe can be adapted to many dietary needs. Combine starter ingredients in jar, stir, cover jar tightly, and leave on a pantry shelf to ferment overnight. 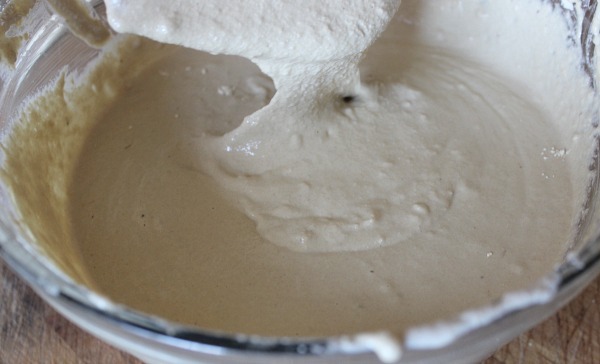 Blend sourdough starter with remaining ingredients. 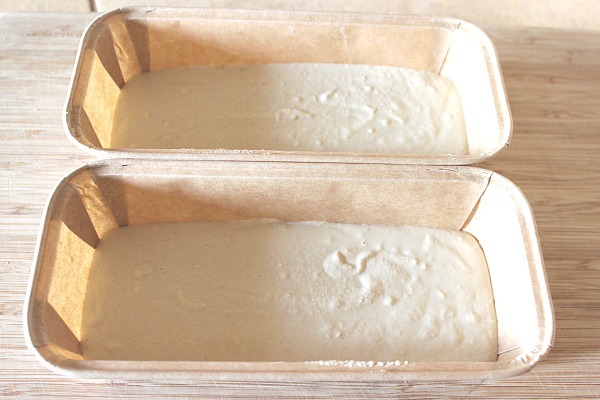 Pour into 2 parchment-lined loaf pans. Cover and allow to rise 4 hours or more (optional). Place loaf pans in dutch oven and cover with lid. Remove from dutch oven or remove lid and cook an additional 10-15 minutes until done. 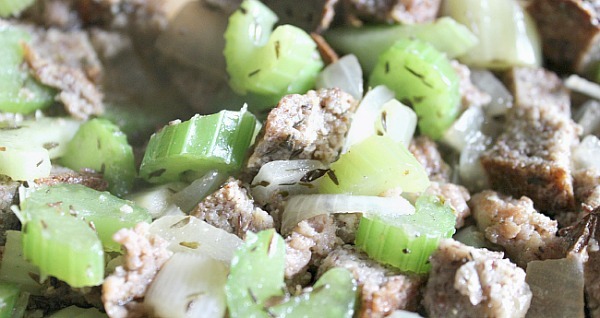 Grain-free Sourdough Stuffing – ideal for holidays! 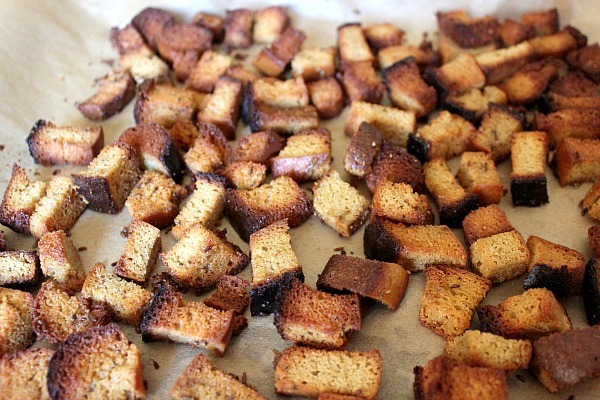 Croutons – cut your bread into cubes, pour melted butter over them, add spices, and bake at 400 degrees until crisp! Pizza Crust – our family’s favorite! 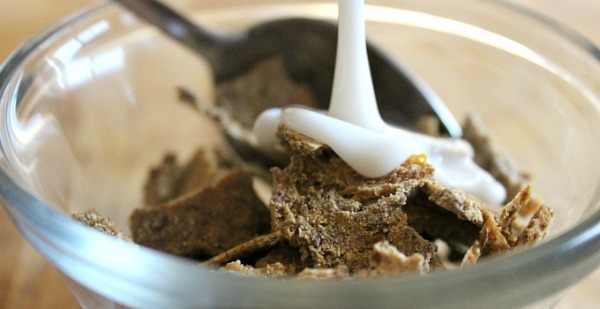 Breakfast Cereal – serve with almond milk or farm-fresh dairy milk! 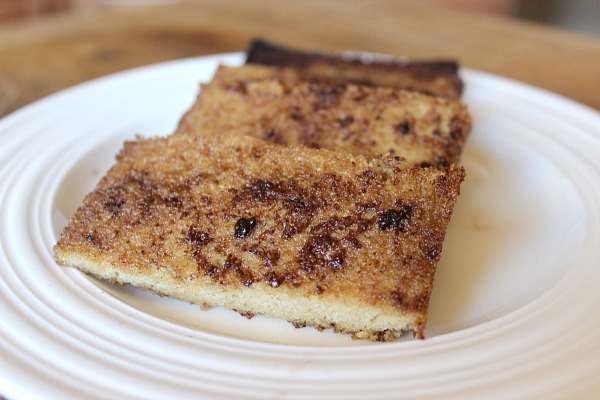 Cinnamon Toast – melt butter in a pan, add cinnamon and sweetener, and heat! 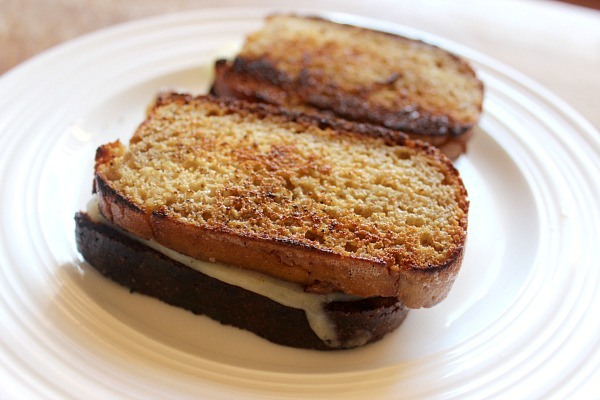 Grilled Cheese – melt butter in a pan and fry up a delicious grilled cheese sandwich! Does this bread have to go into a dutch oven? 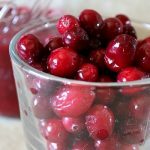 Can’t be baked in conventional oven with normal process? It will work OK, but the middle may be soggy and the outside crusty. The dutch oven helps it cook from within and more evenly. Also, I made the starter…but adding 2.5 cups to 1/2 cup kimbucha creates a thick bread crumb like substance…looks nothing like your first picture. Should there be more kimbucha than just a 1/2 cup? Thanks. Yes, add more kombucha or water until it is the right consistency. what about a convection oven? Good question! I’ve not cooked with a convection oven, but it would be worth a shot. Hi, did anyone ever end up trying this with a convection oven? Also, do you think adding baking soda when mixing the starter with the flour, salt, and water would help this to rise even more? Not sure, but if you try it let me know! Sorry to ask so many questions…but this recipe doesn’t need any eggs or oil, butter (I use Ghee)? It seems too simple to be true, haha! do you start the time when you put it in the cold oven or when it reaches 400? I start it as soon as I place it in the cold oven. Great question. 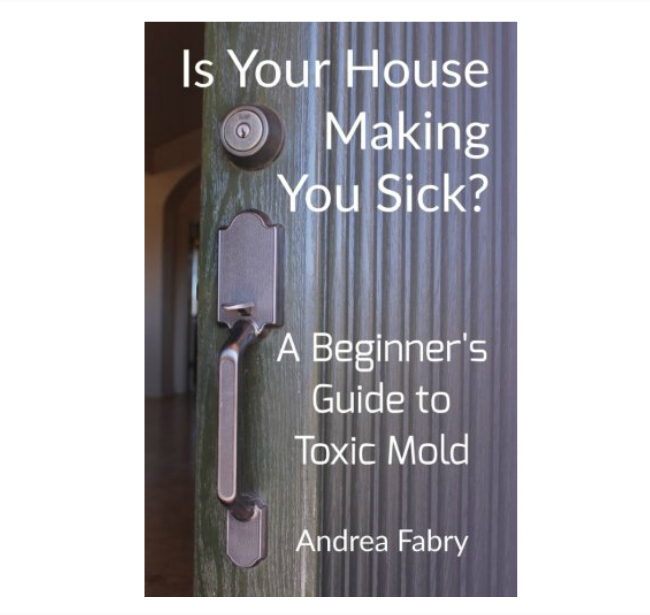 Hi Andrea, I made it and we liked it! 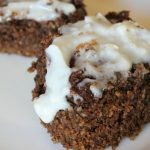 I made it with the quinoa flour for the starter and then one cup coconut, one cup almond, 1/2 cup flaxseed meal, and 1/2 cup non-gmo cornmeal. I wanted it to be totally grain free but ran out of options. Anyway, great stuff and it stayed nice and moist even though I accidentally left it out all night after baking. Excellent with smoke salmon on top. For the starter, it definitely took far more liquid than noted in the recipe but as long as I just kept adding until it was the right consistency like you said, it worked fabulous. Also, in one of your other posts, the starter is made with 3 cups of the different things, instead of 2 1/2 as you listed here. Anyway, my remaining question is that I have 1/2 cup of starter left. 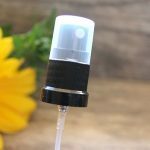 How do I build on that for my next batch? I’ll have to switch that, as they are rough estimates. If it were me and I had 1/2 cup starter I would add some quinoa flour and water and let it ferment and keep adding till I had a nice amount of starter. Thanks for sharing your recipe! 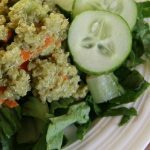 Does the starter need to be made with quinoa flour?Can chickpea flour be used for starter? What size pans do you use? Can it be baked in a pullman pan instead of in the dutch oven? Hi Theresa, I use regular glass bread pans lined with parchment paper or the parchment loaf pans. A pullman pan might work depending on the size of the loaf pans! Can I freeze a loaf for future use? It has frozen fine for me! 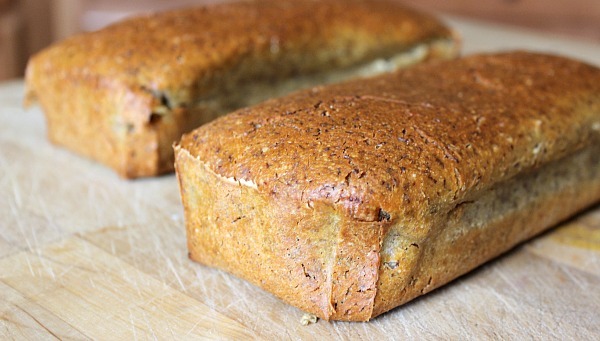 Have you tried baking this in a silicone loaf pan? No, but I totally want to try it!!! I am on my second day of making your quinoa flour sourdough starter with apple cider vinegar. 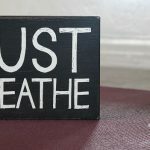 .Should I be adding more apple cider twice a day along with the flour and filtered water– or just filtered water and flour twice a day? Also, I was able to find a bottle of kombutcha tea without fruit flavoring added after I started it. It does have some bubbles now. Should I switch to the kombutcha if I need to add an acid? And last, is it ready when it looks like your picture? The picture does not seem to have as many bubbles as a wheat-based sourdough starter. Thanks! It won’t bubble like wheat-based, but some bubbling is all I’ve found that I need. I would say keep adding kombucha until you think it’s ready. If I tried baking the whole recipe in one loaf pan (instead of two) do you think it will turn out? Thanks! Yes, I do. Maybe do 50 minutes in the container and 15 out. Let me know how it works! I would love to try making that. I already have raw apple cider vinegar with the mother so could I just use that instead of Kombucha? I have used vinegar in the past. For some reason, it’s a bit denser, but it does work. Let it get as bubbly as you can. So perhaps a little less vinegar and more water would help. 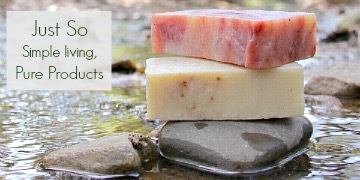 Most conventional grocery stores have them!